Learn how to modify a regular sewing machine pattern to take advantage of the speed and strength of a serger. You will remember to take your own strong bag to the store since it fits over the bagging frames, making grocery loading quick and easy. Make several bags in an afternoon to take shopping the next day. 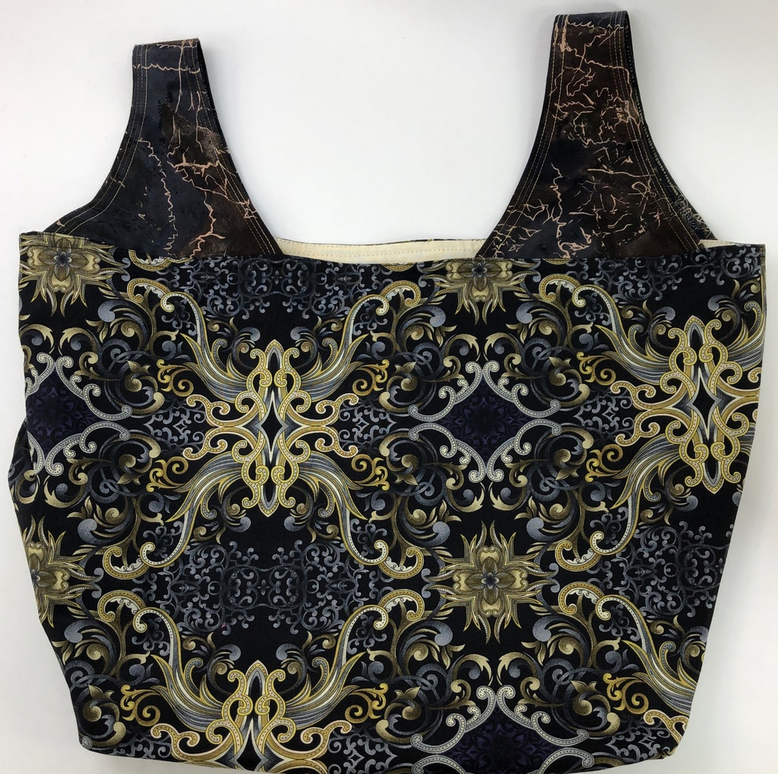 This pattern is fat quarter-friendly and offers multiple fabric options. Serger - Beginner+: must know how to thread and operate serger. Quilting weight cottons, linen or lightweight linen blend (okay for outer fabric and handles). The main pieces can easily be cut from fat quarters, but the handles will create less waste if cut from yardage. Fat quarters can be used for the handles, though, as well. Use one fabric for all pieces, or combine different fabrics as desired. Prewash and press all fabric. Fabrics A and B: Cut two pieces 15” x 20” from EACH fabric. Requirements: Beginner+: must know how to thread and operate serger.